"Silence is on the agenda when nature awakens a somnolent dawning of another morning" As I rise from my cyclical dreams, I know not what is in store for me as the day rolls on, but I'll try to accept whatever comes my way while traveling along . . . 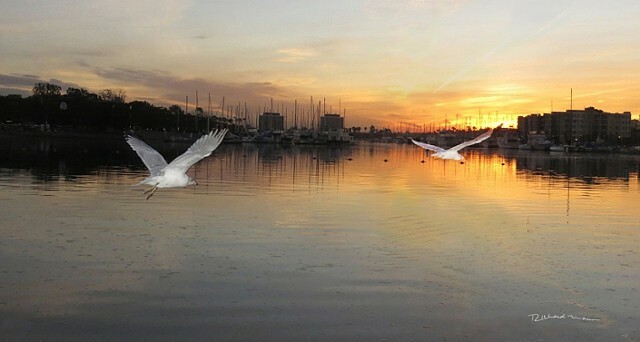 The Journey Through Life"
Mother's Beach-D basin in the Marina del Rey is the widest residential anchorage whereas the entire Marina is the largest small craft water dwelling on Earth.